Congratulations to "Debbie M." and "Erin F.", the winners in Jennifer's giveaway. Thank you to all who participated! In my novel False Identity, Chancy Hamilton is having a difficult time going through the motions of life without her late husband Max who died in a plane crash. When Chancy and her teenage son, Travis, have an argument, Travis storms out of the house and ends up in the wrong part of town where he is attacked by a group of thugs. When a homeless man comes to his rescue, he invites the man home to have a meal with his mom and little sister. Gabe Jones is not like any other homeless man Chancy has ever seen—he’s confident, intelligent, and devastatingly handsome. Jake, Chancy’s boyfriend, takes an instant dislike to Gabe and warns Chancy to stay away from him. Nevertheless, their lives become intertwined, and Chancy is soon thrown into nightmarish events caused by a chilling deception where nothing is as it seems, bringing a terrifying aftermath that threatens not only her but the lives of her children. 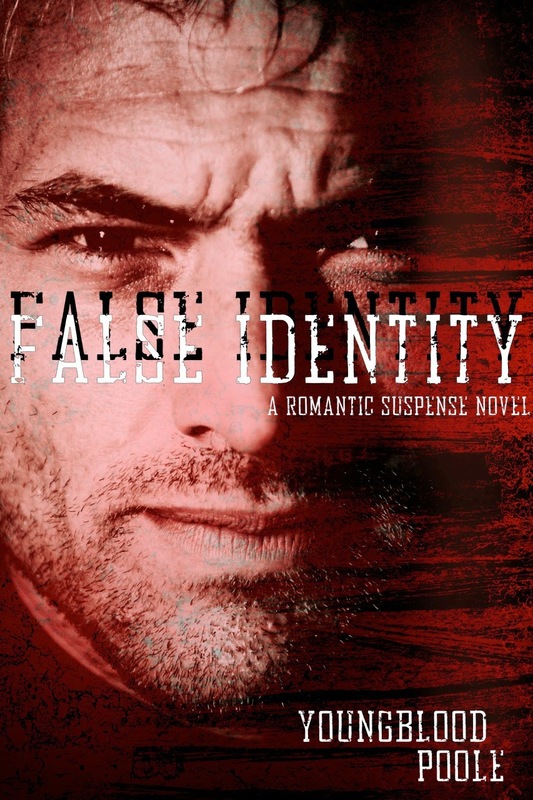 Jennifer will be giving away 2 e-copies of FALSE IDENTITY to two lucky commenters or email entrants. Jennifer has the distinct privilege of writing with her mom, Sandra Poole. To date, they have written seven novels, a collection of short stories, and a children’s book. Jennifer now lives in the Rock Mountains with her family. Giveaway ends 11:59pm EST May 4th. Please supply your email in the post. You may use spaces or full text for security. (ex. jsmith at gmail dot com) If you do not wish to supply your email, or have trouble posting, please email maureen@justromanticsuspense.com with a subject title of JRS GIVEAWAY to be entered in the current giveaway. It's not knowing what will happen next that I enjoy about suspense stories. Me too! I think the not knowing is what keeps us reading! Ha ha! Mary, you're in good company! I like being scared through books :) I can't watch scary movies but I can read scary books. Congrats on the new release! Oh wow, loved the blurb! Can't wait to read this one. Wonder if Jake's dislike is based on jealousy or he senses something about Gabe. That's an interesting premise. You'll have to read it and let me know what you think. Thanks for all of the wonderful comments! Taurus, that's an interesting premise. You'll have to read the book and let me know what you think. I have this down on my want list! Love the sound of this book! I loved Livin' in High Cotton and Stoney Creek, Alabama. Can't wait to read this one! That's awesome! Thanks for reading our books! I'm glad you enjoyed them!